Each smoothie recipe posted separately counts as one entry. Then comment with your recipe link on the announcement post. When browsing Cuisinart’s beverage recipes I realised that I had everything needed for a strawberry kiwi smoothie, so that’s become a Vitamin-C packed 5th smoothie in less than 48 hours (not intended). The Cuisinart istructions use a hand blender, but I gave it all a blast in a regular blender. 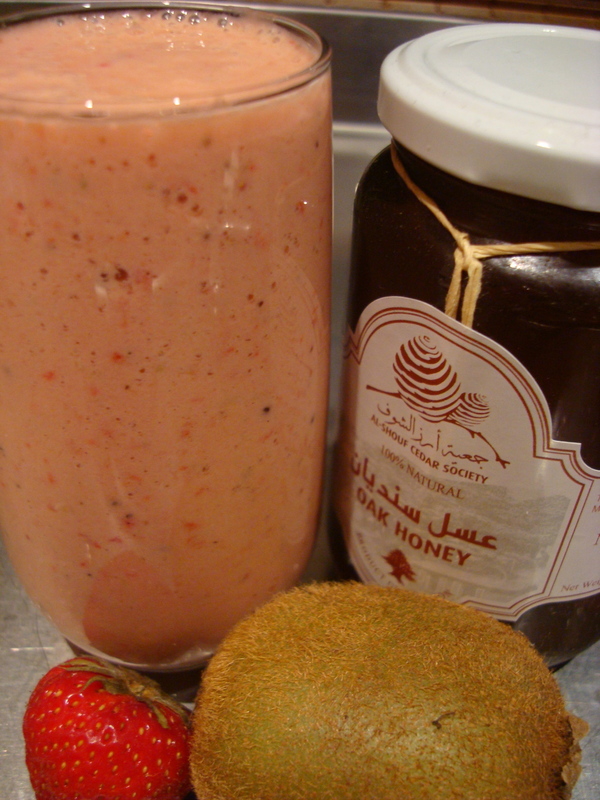 This entry was posted in Smoothies and tagged Anjum Anand, Cuisinart, FBC, kiwi, smoothie, strawberry. Bookmark the permalink. Hi Zoe, thanks for your message. Only saw it today so I could not enter any smoothie post.